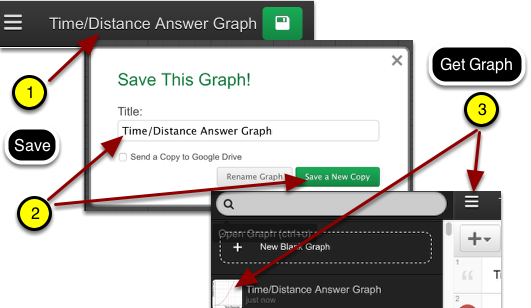 You will create a graph changing the Domain/Range, adding labels, and zooming in and out. The following is an example of the task you will be doing. Modify the file by domain restricting the function so that the graph is between -1 and 10 seconds. Scale the y-axis from -50 to 320 feet. 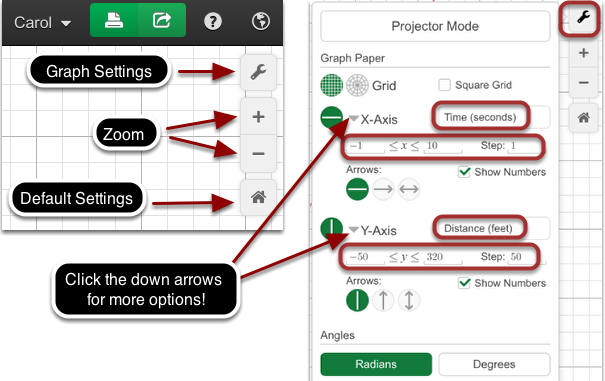 Add the labels Time and Distance on the x- and y-axis. Save to your Desmos Account!